Dharma meets AShok, they are emotional seeing each other. Bindu have dinner with siamk. otherside Dharma serves food to AShok, Dharma smiles seeing Ashok eat, Ashok ask what are seeing? Dharma says you are eating like your father, AShok gets sad, Dharma says dont be sad, Ashok says i am not sad for person who didnt even think about us, my life is with you only, Dharma thinks dont know how you will react when you know about your father, AShok ask what you think about army head offer given to me? 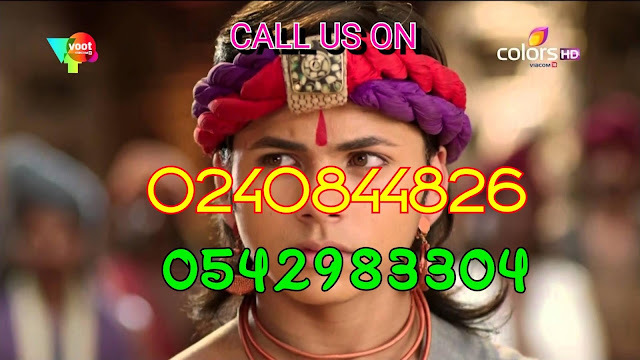 Dharma says you will not listen to me, so be clam and think what is right for you, Ashok says so you think i can become great warrior too, i have to work hard, Dharma says you have choose right path and follow it, Ashok as k did i do wrong by protecting Sushim? Dharma says if you had not saved him and won the competition then would you be happy? no, humanity should be in you, you should first think about others and that makes you different, Dharma says i will leave now, Ashok says i wanna lie my head in your lap, stay for a while, he puts his head in her lap, she thinks that i wanna do Ganga deshera Pooja tonight which i did with Bindu years back. Helena ask subhrasi where is your dasi? Subhrasi says she has gone for Ganga deshera pooja, Bindu recalls how he did that pooja with Dharma years back, Noor notices this and goes to him, she holds his hand, Bindu leaves from there. Dharms is doing pooja. Bindu comes to Dharma’s statue and says its been years since we separate, still i feel you are with me, i feel that if you were alive, then we would have son who would have qualities like, i would have announced him as my heir with proud, i sometime feel alone. Dharma is missing Bindu too, she says i have Ashok and feel that my life is complete but when AShok will know that you are his father then dont know what will happen, i pray that one day Ashok will understand you, she does Pooja. Chanakya comes to her, Dharma says you forced me to come to Patliputra, what if Ashok gets to know that his father is here too, i am afraid of day when all wil know about Ashok, Chanakya says when they will know he is and about his father then they will know about his strength too, Ashok listens all this hiding, he says why Maa didnt tell me that my father is Patliputra, one soldier is spying on Ashok, he says Ashok’s mother is alive? Chanakya is protecting her, what this means that Ashok is Bindu’s son? Ashok is sad that Maa didnt tell him about father, he says why i am thinking about that person, Bindu comes there and ask if you wanna say something? AShok says no, Bindu ask him to clear his thoughts. Ashok comes to Chanakya, Ashok says you asked me to become army head, i will accept it but you have to answer me, he says ask it, Ashok says i know my father is in Patliputra, you just tell who is he? Chanakya is stunned.